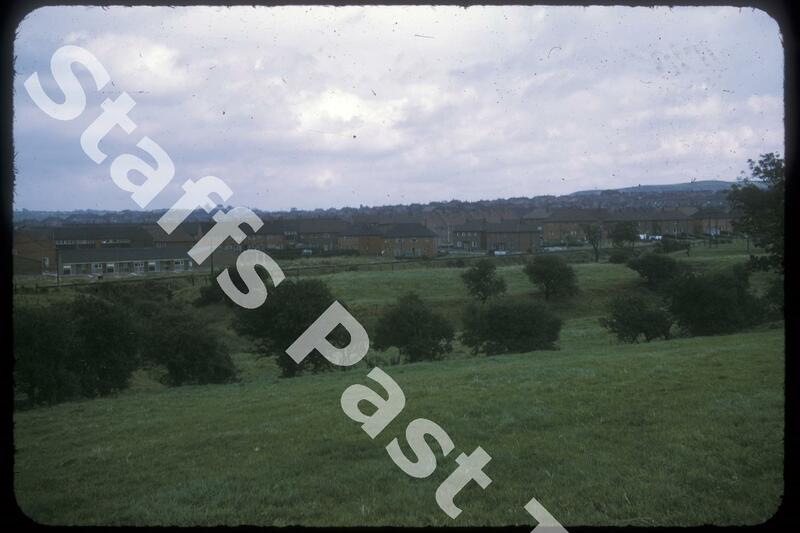 Description:This photograph is looking towards Ubberley and Bentilee with the higher ground of Hulme Bank on the extreme right. In the foreground is the site of Lawn Farm moated manor or farmhouse. The ditches or moats are still clear, and to the right are what are thought to have been fishponds. Archaeological excavations have dated the house and ponds to the 14th Century. The site is believed to have belonged to Fenton-Vivian. The site is over 100 metres long and 90 metres wide with the moats over 2 metres deep and 10 metres wide. There are no obvious signs of buildings although foundations have been found. 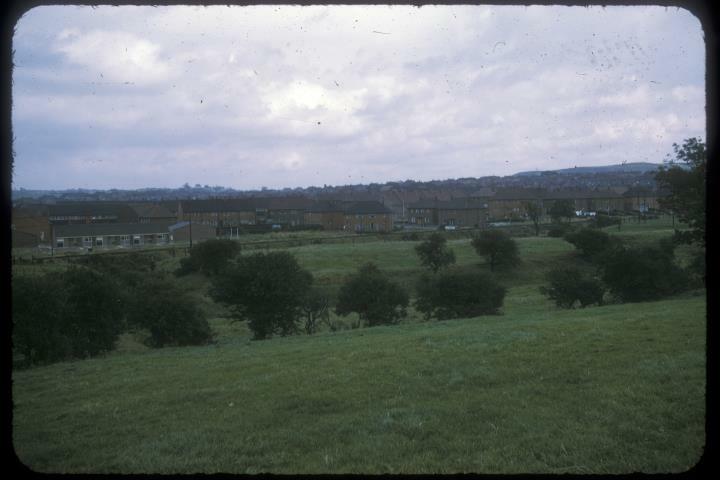 Colliery waste and the Adderley Green to Bucknall mineral railway have affected parts of the site. The embanked route of the railway can be seen between then houses and the moats.